We’ve been eating out a lot lately, but not last night. To open the year, Gail made a great turkey pot pie for her, Joel, and me. To accompany it, I selected a bottle of Porter Creek’s 2009 Carignane. You’ll recall that we visited Porter Creek during our trip to Healdsburg three years ago. I wrote about it at the time, featuring Porter Creek again a few months later and once again last month. Last month’s post stemmed from our having signed up in November for their Pinot Noir subscription program. 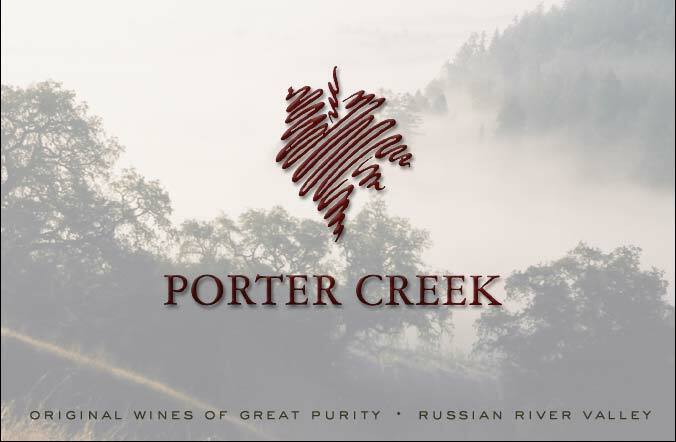 I called last month to ask if we had missed the November shipment, which we had, and agreed when the fellow from Porter Creek proposed sending in its place a set of six bottles that one would get as part of their winemaker’s selection subscription. A week later, we received a bottle each of Chardonnay, Viognier, Pinot Noir, Carignane, Syrah and Zinfandel. The depth of character that comes from these very old vines lends to a wine that more than amply stands on its own. Like previous vintages this wine shows dark ripe fruits on the nose and soft tannins, but with more concentration due to the extremely low yield of one ton per acre. And for what? For centuries of overcropping? For being planted in the wrong places? For making thin, astringent, acidic wines that can vary from inconsequential to brutal? That’s supposed to be the grape’s fault? If you haven’t guessed, I’m feeling a bit of sympathy for the carignan grape. Of course, I have to agree with all of the harsh assessments. While carignan has indeed been much maligned, the more important point is that carignan has been much abused. It’s been grown and treated in such a way as to insure that it would make contemptible wines. But this doesn’t have to be the case at all. The point is that while carignan makes up more than its share of sneer-worthy wines, it also can make wines of great charm and flavor. All you have to do, as Joel Peterson told me, is plant them in the right soil, in the proper climate with good exposure to the sun, keep the yields down, and then wait 80 years for the vines to become old! I read some of this to Gail and Joel as we commenced to eat dinner. Maybe doing so introduced a bias, so that I should have waited until we were done. But bias or not, we couldn’t have been happier. The Porter Creek Carignane was a superb accompaniment to the meal. The Carignane happens to be Porter Creek’s cheapest red. It’s listed at $24 a bottle. We would get a 15% discount as subscribers, though we’d also have to pay shipping. Perhaps we should put in an order. Public Higher Education Funding 2012: A Special Year?